Which topics spark the most heated debates on social media? How do social media users interact when they disagree? Can we nudge them towards constructive disagreement? Answering these questions helps us understand large-scale societal mechanisms - including phenomena such as partisan sharing, echo chambers, and filter bubbles, which might be detrimental to the democratic process. It also allows us to develop tools and techniques that can be used by journalists to understand which issues divide the public; social scientists to understand how polarization is manifested in social interactions; and web users to improve their experience online. This tutorial presents a systematic review of polarization as manifested online, and in particular on social media. In the beginning, we clarify the concept of polarization and the related nomenclature, drawing from the social and political sciences. Subse- quently, we review algorithmic techniques for detection, quantification, and mitigation of polarization. We conclude the tutorial by presenting open challenges and promising research directions for Web Scientists. A complete list of references is available here. Kiran Garimella is a postdoc at MIT. Prior to joining MIT, he was a postdoc at EPFL. He finished his PhD at Aalto University. His research focuses on identifying and combating filter bubbles on social media. 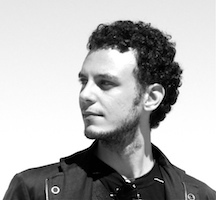 Previously he worked as a Research Engineer at Yahoo Research, QCRI and as an Research Intern at LinkedIn and Amazon. His research on reducing polarization on social media received the best student paper awards at WSDM and WebScience 2017. 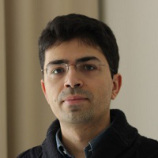 Gianmarco De Francisci Morales is a Scientist at ISI Turin, Italy. Previously he worked as a Scientist at QCRI, Visiting Scientist at Aalto University in Helsinki, as a Research Scientist at Yahoo Labs in Barcelona, and as a Research Associate at ISTI-CNR in Pisa. He received his Ph.D. in Computer Science and Engineering from the IMT Institute for Advanced Studies of Lucca in 2012. His research focuses on scalable data mining, with an emphasis on Web mining and data-intensive scalable computing systems. He is an active member of the open source community of the Apache Software Foundation, working on the Hadoop ecosystem, and a committer for the Apache Pig project. He is one of the lead developers of Apache SAMOA, an open-source platform for mining big data streams. He co-organizes the workshop series on Social News on the Web (SNOW), co-located with the WWW conference. 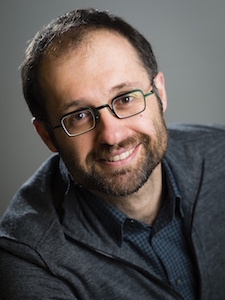 Michael Mathioudakis an assistant professor at the University of Helsinki. Prior to that, he was a Postdoctoral Researcher at Aalto University. He received his PhD from the University of Toronto. His research focuses on the analysis of user generated content on social media, with a recent emphasis on urban computing and online polarization. At Aalto University, he organized and taught new courses on 'Modern Database Systems' and 'Social Web Mining'. He also serves as advisor to Master's students and Aalto's representative at the SoBigData EU project. Outside academia, he works as a data scientist at Helvia and Sometrik, two data analytics companies. Aristides Gionis is a professor at Aalto University. 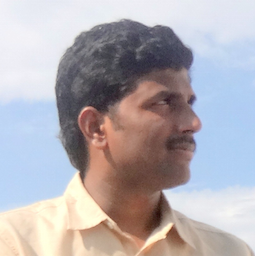 His research focuses on data mining and algorithmic data analysis. He is particularly interested in algorithms for graphs, social-network analysis, and algorithms for web-scale data. Since 2013 he has been leading the Data Mining Group, in the Department of Com- puter Science of Aalto University. Before coming to Aalto he was a senior research scientist in Yahoo! Research, and previously an Academy of Finland postdoctoral scientist in the University of Helsinki. He obtained his Ph.D. from Stanford University in 2003.